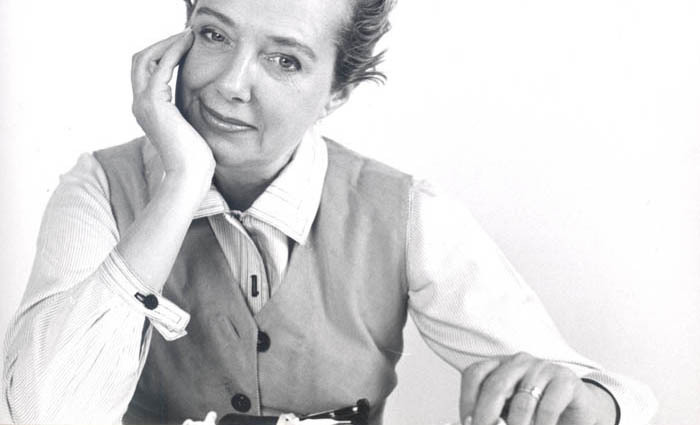 I recently started to research an American designer who really thought about what makes a perfect travel wardrobe: Claire McCardell. 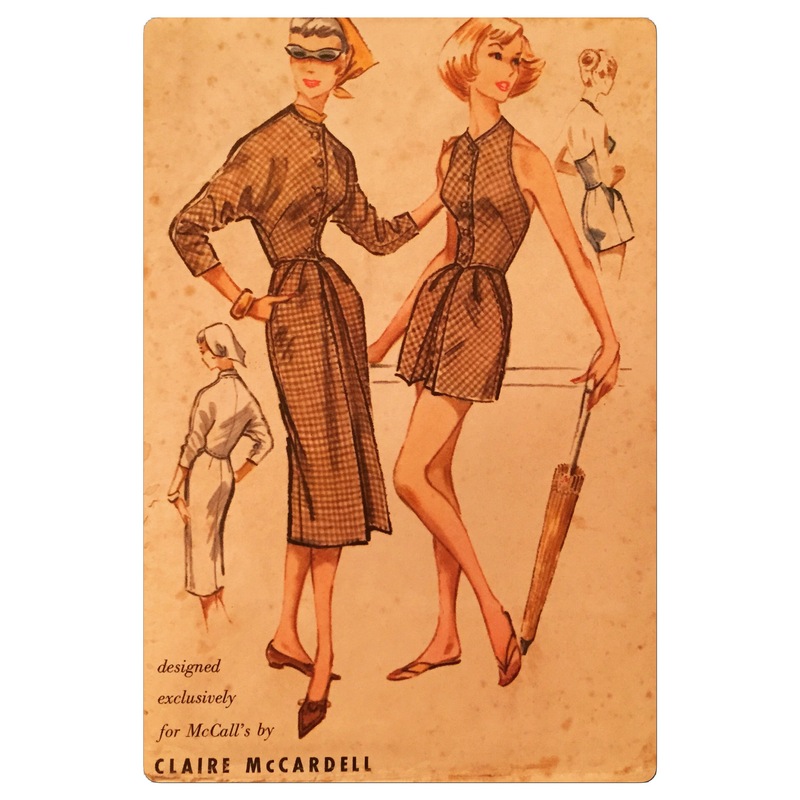 McCardell knew what she wanted to wear and buy – as a professional she wanted women to have more freedom (their clothes express the “sportswear” ideal that many Europeans associate with American style). These were essentially modern clothes and by curating a coordinated “look” they made it easier for women to pack simply and still look a la mode when they were swanning about the Pyramids. McCardell delighted in small, important details on easy to wear items. The focus on a clear silhouette and a mix-and-match mentality meant that women could use their own initiative to create new looks from their separates. During the 1950s she produced a few patterns for Spadea and McCalls, including this one. I don’t know about you but these images make me want to make something special for my holidays. Have you seen the 1945 Futuristic Dress? It is basically a dress made from four triangles with the joins top stitched for a sportswear look. I am still intending to make a silk maxi dress for my holidays but I am going to have to crack on as I am running out of time. Wow, it’s like you read my mind. 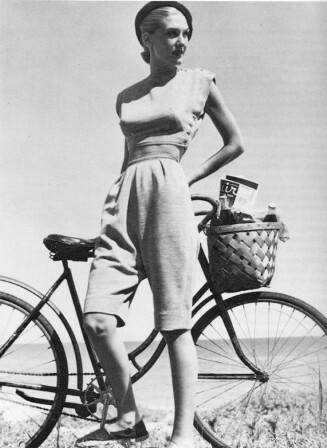 I was just looking up Claire McCardell at lunch yesterday! I always take co-ordinating clothes when I travel, but this is unsurprising given that nearly everything I own is blue and I like to travel light with only a couple of pairs of shoes. I’m wondering now what you are going to make, other than the maxi dress!? There would be a number of interesting options for Egypt. I am wondering too Stephanie as I don’t have much time so it may not even be the maxi-dress! After the SWAP I feel like having a little rest…. Wow! I had never heard about this brilliant American designer. Thanks! I had read about this designer before, somewhere on stitcher’s guild. Lovely pictures. McCardell strikes me as a very modern woman. I love the idea of a travel wardrobe, but I find like maternity clothes, I don’t ever want to see them again when I get home. I think my sub conscious often undertakes so I have reason to search for treasures overseas! Look out for me in a safari suit and pith helmet Kate! I am currently struggling with ideas for a travel wardrobe – one month, two business conferences, 4 days of meetings, and a holiday in business. London, Manchester, Lisbon and Portugal…thoughts would be happily received. You have a great figure and you know what suits you Gail. When I have done a similar trip (six weeks in Hong Kong, Australia and NZ including several business events, but also holidaying) I packed a really nice lightweight jacket. Take the climate into account – over here – especially in Manchester – it can be chilly. On the other hand Portugal is usually pretty warm although there is probably AC offices. My own very strong view is to take carry on luggage as this means you will be nimble and independent when travelling. I would (in summer) take a good uncrushable jacket in light grey, white, cream, stone, beige – whatever colour suits you best. Then two skirts that work with the jacket but can be worn more casually too. I would pack at least one formal dress that can do evening or day time with the jacket too, and one pair of dressier shoes that works with this wardrobe. I wouldn’t wear traditional ladies blouses when travelling as they are not flexible, need ironing and certainly in the UK not really worn except in the city. A nice top or two that work with the jacket would be my choice. That’s it for the work stuff. I found I could wear the same thing quite a few times as I was meeting different people. Also I took quite a few necklaces and scarves so I felt I was getting a different look without taking up much space. I have a post on holiday packing which may be of interest for the holiday part of your trip. Have fun!